Look to your website platform provider for details on how to post a widget to your website or blog. Link and embed code can be found below. You are welcome to use all or part of the Kinderland Shule Haggadah for your Passover Seder. 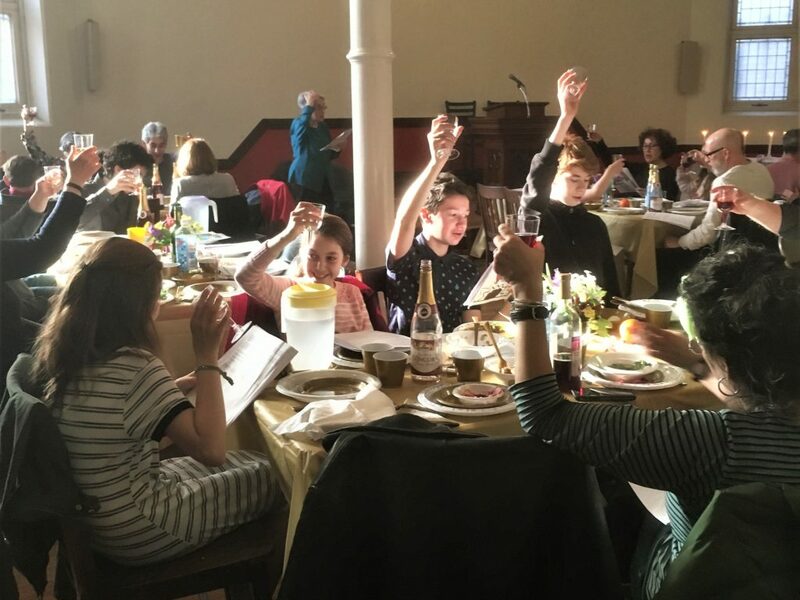 It is a progressive family-friendly Haggadah complete with songs and poems, and contains passages in English, Hebrew and Yiddish. And please feel free to share it with others!